President Emmerson Mnangagwa has revealed plans to give his MDC Alliance rival Nelson Chamisa official recognition as the leader of the opposition in an attempt to mend bridges after a divisive election. 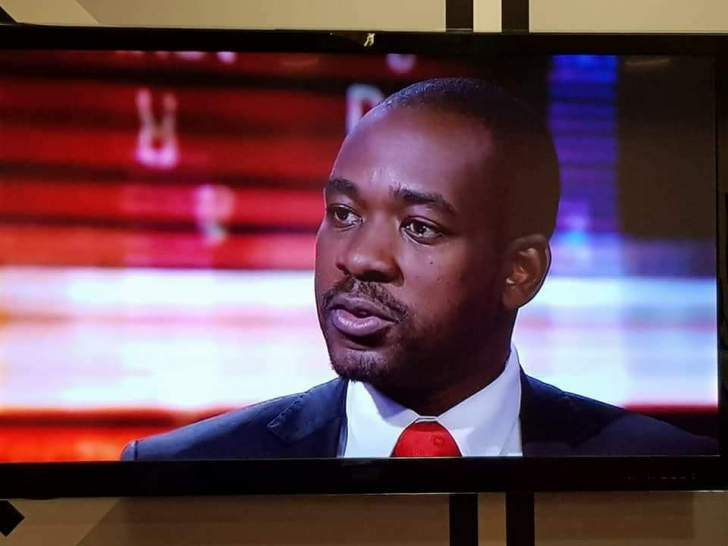 Chamisa has refused to recognise Mnangagwa as the winner of the July 31 presidential elections, claiming the polls were rigged in favour of the Zanu-PF leader. However, in the first indication that a deal to end the political impasse is on the horizon, the president told the United States-based Bloomberg TV, that he was considering opposition leader perks. "Under our Commonwealth parliamentary democracy, the opposition is recognised; we recognise the leader of the opposition in Parliament. This is what we are going to do ourselves," Mnangagwa said. "But under the former administration, there was no formal recognition of the opposition leader but now under my administration, we are embracing the Commonwealth approach to parliamentary democracy where we recognise the leader of the opposition who is given certain conditions and perks in Parliament." The plan to give Chamisa official recognition was first revealed a month ago, but was never confirmed by the government. Britain and other countries that were reportedly eager to see a quick resolution to the political impasse were said to be behind the proposal. Chamisa's spokesperson Nkululeko Sibanda yesterday said the MDC Alliance leader was open to dialogue with anyone "who wants to move the country forward". "The president has made it clear that he had been mandated by the national council to engage in nation-building dialogue with anyone who wants to take this country forward," he said. "The dialogue is based on five principles, which he has made public. At the moment, no one has come forward and knocked at his door for dialogue. If Zanu-PF thinks it can knock, they are welcome." Mnangagwa is in New York for the United Nations general assembly where he will make his maiden address this week. Meanwhile, the president told CNN in another interview on Friday that although his victory margin was narrow, he had the mandate to lead the country for the next five years. "Yes indeed, in terms of our constitution and in terms of Commonwealth parliamentary democracy, it is first past the post and I had 50,6%, my nearest contender had 44%," he said. "I think and in terms of our constitution I won the election although the victory is very narrow as you said. "I agree, I hope that as we go forward and as we open up Zimbabwe both economically and politically, I think the policies we are putting forward, people will understand that we are doing better. But if indeed the opposition have a better message than us at the next election, the people will support them." He pledged not to cling to power like his predecessor Robert Mugabe, saying he would step down after two terms. "I would like to entrench constitutionalism in Zimbabwe," Mnangagwa said. "I will abide by that without any iota of resistance at all. even if the people would love me to the hill, I will still go away because I believe constitutionalism is very important and, in fact, you must give your people a chance to have others coming in, 10 years is not a short period." He insisted that attempts were made to kill him through poisoning at the height of a succession war in Zanu-PF last year. "Well, I was poisoned, and up to today, I don't know, I was for two days (in serious condition) and after that poisoning, one of my current vice-presidents (Constantino Chiwenga) was quick enough to fly me to South Africa where I was saved," the president said. Mnangagwa took over from Mugabe in November last year following a coup led by Chiwenga days after the then vice-president had been fired from government and Zanu-PF.